Welcome ladies and gentelemen, this is a complete starter guide for Counterstrike Global Offensive. This guide helps newcomers to get a quick overview for competitive CS GO. The game basics of CS GO are easy to understand, but the game has many details that are important to know to get an advanced player. So, what are the basics of Counterstrike Global Offensive? The game has been around since 1999 and was officially released in 2012. Before that a huge fanbase already played Counterstrike 1.5, 1.6, Condition Zero and Counterstrike Source. The first person shooter CS GO was hyped and when it was finally on the market, all players rushed into the new game. The good thing about CS GO is, that it is really similar to the previous games, just newer. Only some 1.6 players and CS Source players still play on the old servers. What is CS GO really? The first person shooter from Valve called CS GO is a successful game that you can download in Steam. The numbers of active players are just awesome, the playerbase is really stable, which makes the game strong and always keeps the e-sport scene up. Counterstrike GO is the number one e-sport shooter on this planet, if we talk about real competitive e-sport shooters with tactical teamplay. Yes there are Fortnite, Players Unknown Battleground or Overwatch, but these games hit a different genre, and are not comparable. These games are more casual, while CS GO is more like an old school shooter without all of the extras for younger target groups. The target group of CS GO is older compared to Fortnite or PUBG! Many players love CS GO for these reason, it has a simple, reliable matchmaking mode with an extreme depth of skill range. Buy CS GO & Simple Setup – What do you need to play CS GO? To play CS GO you just need to download Steam and search for Counterstrike Global Offensive. The game has to be bought for about 12$, but you can wait for a Steam sale to get it for less. Install the game via the Steam library by double clicking it. For CS GO there is not much you will need, a basic PC with a moderate graphic card is enough, in the settings you can adapt everything to your needs. A more interesting question is which external hardware you will use. The different mouses and keyboards build the basic equipment for your playstyle. With a good mouse, a good keyboard and an awesome headset you will definitely play better than with standart windows gear. It is a good investment to buy a real gaming mouse for example the Razer Deathadder, I got this one and it is the perfect mouse for CS GO. Mechanical keyboards are advisable for CS GO, because they have a much faster reaction time compared to normal keyboards. The headset should match your needs, some like a full blown 7.1 sound, some like it more simple, but the sound is a big part in CS GO, it is mandatory to have a headset that blocks the surrounding sounds and let’s you concentrate on every CS GO sound. Yes, you can definitely be a good player without any CS GO pro equipment and these things are very expensive, but if you can afford it, these periphal devices allow to reach a higher skill in CS GO fast! The basic CS GO settings are great, you could just go with these settings and just adjust a bit in the CS GO option menu if you need to. But after some time every CS GO player feels the needs to adjust the game individually to the personal preferences. A good thing to change is the CS GO Crosshair, find a full turorial for that here. In our CS GO Config archive you can find more configuration tips for CS GO. The casual matches in CS GO are all matches that don’t count for your rank. These matches are for training and just for fun, it is not important if you win or not. To the CS GO casual matches count the private servers, the gungames and the normal mode. On these servers many troll players fool around, but don’t get upset, these players just want to test around, like you do! Here you can find tips and tricks how to get a higher rank in CS GO. Shooting is the first thing that needs to be improved if you play CS GO. Try to always aim at a height where the head is, its is an often seen beginner’s mistake to aim too low! Shooting and getting better in shooting is the masterclass in CS GO. To improve in shooting you need to feel comfortable with each weapon. If you jump or move around the spray is innacurate and if you stand still you aim precise. But here come more variables into play: Every weapon has it’s own shooting behaviour and the longer you shoot at one time the aiming and spray of the bullets gets harder to place at the point that you want to reach. Read more about the CS GO weapons here and find starter tips below! CS GO Skins are cosmetic changes of weapons. The damage of the weapon does not change only the visual skin changes. Here you can find more about the skins with basic infos. Many Counterstrike players trade huge amounts of money for rare CS GO items. If you want to trade too and get a cool knife read this trading guide. The fundament of CS GO is the teamplay, without good teamplay no one will have success. Yes you could be a good solo player on public servers, but when it comes to a full blown tactical team match you will have no chance alone. Which CS GO player role do you like? What is your playstyle? It is important not to just rush in alone, try to communicate and play as a team. Move together, go back together or rush in together. To win a map it is mandatory to split smart and cover each area of the map, this is only possible with good teamplay. CS GO has an economy system, each weapon has a different kill reward. As a CS GO player it can help to housekeep the money, to be always aware of what you are doing. The economy is part of the teamplay and some of the basic strategies in CS GO clanwars and ranked matches are Ecorounds and Buyrounds. In these rounds the teams decide together if all buy weapons or save money. Read more about the CS GO economy here. 1. Try to get better in shooting with weapons, at first you should always try to use the same weapons, so that you learn how to shoot with that specific weapon. Good starter weapons are the normal pistols, don’t use other pistols. The P90 is a great starter weapon for nice spray damage, but also the galil and the famas are easy to control. The AK-47 and M4 are also capable weapons to start with and also strong for experienced players. To get better with the weapons it is key to check how long the reloading is and how the recoil and spray behaves. To test this just shoot against a wall and try to shoot at the same point with cross fire! 2. Don’t get discouraged early, CS GO is a really skillful and hard game. Once you are ranked you can play with people on the same level. If you reach the Gold Nova 3 CS GO rank you already better than average. Read more about the full CS GO rank percentage distribution here. 3. Always play the same maps. At first test all of the maps and then choose two or three favorite maps. If you play ranked matches, stick to these maps in your first 100 games and master them. After that time you will be at least experienced on these maps! Good starting maps are of course Dust-2 and Mirage. 4. Train how to use grenades. After you have chosen your favorite maps, check some youtube videos about grenade tutorials for the maps. Like that you will be a grenade pro in no time. It is not really hard to be good with grenades if you watch the videos, but the most of the players can’t use them well. It is important to learn how much tactical power grenades have to win games. The flash and smoke grenades can do so much, without forcing a 1:1 situation. 6. Map control is a big part when it comes to winrates. New players always stay calm and stick on their position, trying to make no mistakes. But there is an art of knowing when it is the right time to camp, and when it is the right time to be agressively. It can often help to preshoot at corners, to prevent enemies from rushing out. If bullets hit a corner where they want to peek, they eventually turn around and go back. Map control in CS GO is a very big deal, always try to get better and you will be able to hold large areas alone. 7. The experience in CS GO comes with the time. CS GO needs a bit to get started, but if you see an uprank, you know that you made the next step. The most players in CS GO are stuck on their level and just up and downrank in the same area. If you try to get better and read all of the CS GO guides, you will be better than average just by knowing the game mechanics. 8. Play CS GO aim maps as often as you can. Use only the weapons you like and try to be successful. Test around and check which shooting-style is the most effective. 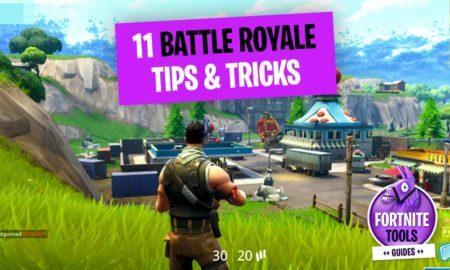 Does these tips help you? Do you miss basic things? Make a comment below.